Barclays BARC has now been charged by the Serious Fraud Office with an additional charge to that which was brought against it in June 2017 but this time relating to the loan itself rather than simply an allegation of providing unlawful financial assistance in 2008. It will be interesting to see who comes out of it worst, Barclays or the SFO whose reputation for competent and skilful prosecuting is hardly of the highest. Lok’ n Store Group LOK enjoyed strong trading during the first half year to the 31st January. January produced the highest ever levelof new monthly storage sales. First half like for like revenue rose by 6.9%, self storage occupancy as at 31st January was up by 6% and price per sq. foot let was up by 0.4% compared to year ago. Trading at the new stores which have been opened is claimed to have been excellent. Sosander SOS delivered a strong performance in December and January with net revenue having exceeded management expectations. Over Xmas and the New Year there were multiple sell outs on a number of products, generating large waiting lists which have been satisfied by repeat orders. Proteome Sciences PRM Unaudited revenues for the year to the 31st December rose by 18%, whilst at the same time, costs fell by 5% and the order book strengthened. Re organisation in the first half led to a stronger performance in the fourth quarter with robust and increasing demand. Despite that progress has been lower than management would have wished for and the company is still loss making although the loss is expected to hve been reduced from £ 2.9m to £ 2.1m. Proxama PROX delivered a 75% rise in revenue during the year to the 31st December, accompanied by a significant reduction in costs led by a large fall from 60 to 23 in the number of employees. The directors expect to see a fall of at least 50% in costs for the full year. A new management team was appointed during the year giving the company a lean expert team with the right skills and the lowest ever cost base. Proactis Holdings PHD expects to report a 123% rise in revenue for the six months to the 31st Januay and a rise of 183% in adjusted EBITDA. This surge follows the acquisition at the beginning of August of Perfect Commerce LLC which contributed 50% of the total revenue for the half year. The company is also on target to produce the £5m. of synergies expected for the full year. Fidessa Group FDSA claims solid growth for the year as a whole but then admits that most of it was due to the weakness of sterling rather than the success of the company and its management. At constant exchange rates revenue rose by 3% and profit before tax by a lowly 1% compared to the actual exchange rate figures of 12% and 25% respectively. The reality however is used to give shareholders a big present with an 11% rise in both the final and special dividends. 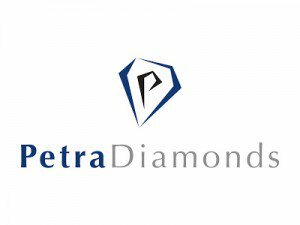 Firestone Diamonds FDI held its first diamond sale last week in Antwerp. All carats on offer, a total of 75,936, were sold at an average price of US$107 per carat, producing a total of US$8.14m. The highest price achieved for a single stone exceeded US$1m. The company describes the total as pleasing as the diamonds were recovered from lower quality ore areas. Over 90 companies viewed the diamonds and 38 were successful. A second auction is expected before the end of March. Plastics Capital PLA Third quarter revenues were ahead of expectations following stronger than expected demand and trading condition remain generally good. Full year results however, are expected to be in line. EG Solutions EGS Strong second half trading produced record revenues up by over 50% to £5.69m., compared to the first half total of £2.5m. The first half loss of £0.89m. was turned into positive EBITDA of over £2.m Several new contracts have been signed with major global companies in America, Asia and Europe. Pearson PSON has brought out a new literacy programme which management has obviously not read. Had it done so they could have written their 9 month interim management statement in something like English instead of nonsense such as “some 3,600 Full Time Equivalent employees have been notified of exit.” – and this from a purveyor of higher education products, who seems to be surprised that its nine month sales have declined by7% although this is glossed over as due to retailer inventory corrections. Come off it. A slump in sales is still a slump in sales however you dress it up in fancy language. Pearson even claims that this is a good competitive performance even though sales are continuing to suffer from a further 3% fall and sales are trending lower than expected in North American higher education..
Fortunately the declining pound is there to rescue management to the extent that if current exchange rates persist, earnings per share are expected to increase by about 4.5p or some 8%. Saving weak management is not supposed to be the reason for allowing the pound to collapse. 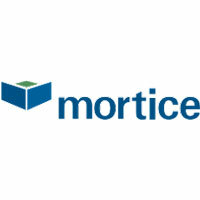 Mortice Limited MORT has enjoyed another strong period of growth with year on year revenue for the first half, up by 57%, including contributions from its two acquisitions which have been performing well. Image Scan Holdings IGE Sales for the year to the end of September have almost doubled with a rise from £1.7m to £3.3m and margins rising from 38% to 42%. Pretax trading profit for the year is expected to have risen over sixfold to £0.64m. As a sign of continuing success the outstanding year end order book has almost tripled from a year ago and now stands at £1.7m. Tristel TSTL results for the year to the end of June are ahead of market expectations and the full year dividend is to be increased by 11%. Overseas sales rose by 22% and total turnover by 12%. Pretax profit and EBITDA before share based payments rose by 27% and 26% respectively. Tristel has no debt and there is £5.7m in the bank. Beer and spirits volumes were both higher in the first half for Adnams (ADB). Beer volumes were 7% ahead, while the volumes of the less-mature spirits business were 60% higher in the first half. However, increased marketing costs meant that operating profit fell from £962,000 to £624,000, while disposal profit jumped from £407,000 to £1.42m – including the sale of UK distribution rights for Lagunitas to Heineken. The second half is always stronger for the pub and retail operations. A £7m investment is being made to increase brewery capacity by next summer. The A and B dividends have been increased by 5.6% to 19p and 76p respectively. The record date for the dividends is 9 September. There were 132 shares traded during the week at prices between 10500p and 10850p. WMC Retail Partners (WELL) expects to make a lower interim loss this year. WMC has agreed in principle a funding package of £1.8m plus revised terms for the lease of Cornish Market World, which is still losing money even though a reconfiguration has improved performance. Interests related to two directors are lending the company £300,000, taking the total outstanding to £400,000, ahead of completion of the funding package. These loans are repayable at the end of November but longer term loans, which shareholders have to approve, are being negotiated. National Milk Records (NMRP) has appointed Mark Frankcom, who has previous experience in the dairy industry, as its new finance director. Since April 2011, Frankcom has been a director of Gloucestershire-based Combined Brewers, which was known as Cotswold Spring Brewery prior to its merger with Severn Vale Brewery, where he owns 33.3% of the shares. At 77.5p (76p/79p) a share , NMR is valued at £5.8m. The latest trade was 320 shares at 76p each on 10 August. There has been mixed news for blockchain technology investor Coinsilium (COIN). Factom, which has developed technology to time stamp trading data, has done a deal with digital information platform DataYes to publish pricing data on the “3,000 most valuable Chinese stocks”. Coinsilium has a 1.9% stake in Factom. The management of Mexico-based digital currency exchange MeXBT, where Coinsilium has a 17.6% stake, has temporarily suspended its exchange operations in order to perform a review. Diversified Oil & Gas (DOIL) has bought back £197,000 worth of 8.5% unsecured bonds from a bondholder fund. There are £9.93m worth of bonds in issue, including the bonds bought back. Premier Technical Services Group (PTSG) continued to grow strongly in the first half and it has not been hit by the Brexit vote. In the past two weeks, Premier has secured two access installation contracts worth £2.5m. The construction-related order book stretches out to 2018 and the testing and maintenance operations also have a strong order book. The two dry and wet riser systems installation businesses acquired in July will contribute to the second half. Staff turnover is holding back the progress of energy procurement services provider Utilitywise (UTW) and it has overhauled its management, including the appointment of a new chief executive. Brendan Flattery is joining the company at the beginning of October, having previously headed Sage’s European business. Sales grew by 19% in the year to July 2016, while EBITDA will be slightly higher than last year at around £18m. Earnings per share forecasts have been reduced by around 10% to 17.7p, which is slightly lower than the previous year. Digital media company Milestone (MSG) is providing NaPo with a white label version of its Backstage HD music publishing platform. NaPo is a mobile reward platform and revenues generated will be shared 50/50. Audio visual services provider MediaZest (MDZ) says that it is targeting its first ever post tax profit in 2016-17. In the year to March 2016m revenues grew from £2.48m to £3.14m, while the post tax loss was cut from £656,000 to £109,000, excluding share-based payment charge. There are two large projects that could come through later this year or early in 2017. Self-storage sites operator Lok’nStore (LOK) says that like-for-like storage occupancy was 2% higher last year and prices have increased by a similar percentage. This lead to a 5.2%increase in sales and means that Lok’nStore is on course to increase earnings per share buy one-third to 10.3p. There are plans for new outlets including one in Gillingham, Kent. Information management software provider Ideagen has acquired Covalent, which is similar to its own business, for £3.6m. Covalent has a customer base that includes the NHS, local government and housing associations and annual recurring revenues are £1.9m. This deal has led to a 8% increase in forecast 2017-18 earnings per share to 3.5p. Mining services provider Management Resource Solutions (MRS) has agreed to acquire the min assets of SubZero Group Ltd for A$6.12m in cash and shares. This cost includes the assumption of A$2.85m of equipment finance and employee benefits. SubZero, which has generated annual revenues of A$40m, fits with MRS’ project management and labour hire businesses and will double group revenues. Operating sites will be consolidated and corporate costs reduced. Rising coal prices should lead to recovery in demand for the group’s services in Australia. Publisher Quarto (QRT) has acquired becker&mayer publishing assets for $9.8m. The US-based business is a book publisher and toy business and a further $1.25m could become payable. The US will account for 45% of group revenues, while children‘s publishing will be 30% of group revenues. Quarto is second half weighted so the interim loss is no surprise. The interim dividend is unchanged at 5.13 cents a share but in pence terms it will be higher. Full year profit is expected to improve from $14.1m to $15.5m. Tex Holdings (TXH) says that a change in mix of work meant that profit did not reflect the improvement in interim turnover from £17.8m to £20.6m. Pre-tax profit was flat at £495,000. Plastics turnover fell in the first half but sales volumes have picked up in the second half. The interim dividend has been increased by one-quarter to 2.5p a share. St Ives plc SIV Despite trading during the 8th months to 1st April being 5% ahead of last year, St Ives has had to issue an urgent warning that underlying profit before tax for the current year is likely to be materially below expectations. 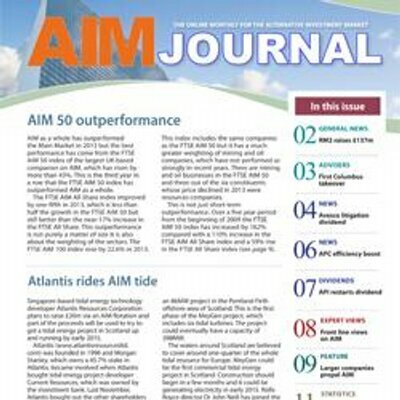 The outlook for the final quarter has deteriorated due to economic uncertainty which has led to the cancellation and deferral of significant projects and the impact is likely to be felt throughout the whole of the next financial year. Lok’n Store Group LOK claims its interims for the 6 months to 31st January are “great”, with record results ahead of expectations on all fronts. Profit before tax rose by 155% after like for like revenue grew by 8% and adjusted EBITDA by 13.1%. The interim dividend is being increased by 14.6%. As a sign that profit growth should continue in robust fashion, like for like occupancy rose by 2.4% and prices for occupied units by 3.3%. Randall & Quilter RQIH turned 2014’s loss of £1.6m into a pre tax profit of £2.8m for the year to the end of December, whilst earnings per share came in at 4.2p compared to 2014’s loss per share of 6.3p. The turn round was due entirely to a significantly stronger second half which alone produced a trading profit of over £7m.